Our range of products include servo transformer and servo buck boost transformer. 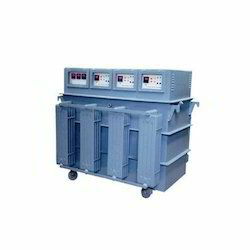 Buck Boost Transformers are immensely used in industries for stepping up and stepping down the supply of voltages as per the application requirement. In order to reduce the length of the cables in many loads like remotely operated loads, submersible motored pumps and offshore application load, these types of transformers are used with low power loss, less cable cross-section, and easy handling. These transformers can be also offered with canopies for rodent protection in remote areas, desert terrain, rainforest, and jungles.